Who says you have to be on holidays to have fun? iögo invites you to bring recess back into your daily life by offering you a little moment of fun every day. 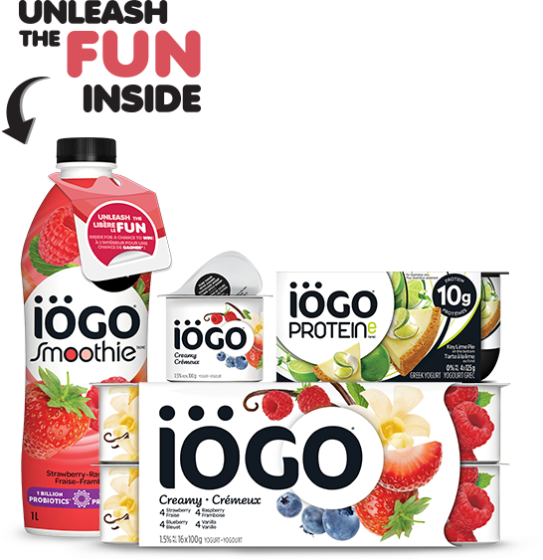 Unleash the fun inside all specially marked iögo packs for a chance to win the recess of your choice. From shoes to lunchboxes, these are the ultimate classics you grew up with and miss deeply. Especially with the return of the 90s in fashion. If like many others who grew up in the 90s, your recess was probably spent creating choreographies to the latest hit of the Spice Girls or the Backstreet Boys. With the return of the 90s, there are things you’ve probably re-purchased recently or are cursing yourself for ever letting your mom throw away. However, here is a short list of the top accessories to get the real look! Lunch boxes: A key piece of every kid’s childhood and an easy identification of your personal style or which group you were a part of. Whether it is covered with your favourite cartoon or toy, your lunch box is always a symbol of your personality. Collection cards: From Pokémon to Pogs, you spent your lunches trading cards in hopes of having the biggest collection in the schoolyard. Plastic choker necklaces: Whether the classic black, with jewels or multicoloured, you weren’t in style if you did not have at least one of these. Today, this vintage piece can easily be paired with your elegant set of pearls. Tamagotchis: Your parents probably regretted buying you one after the first night of it beeping and crying because your little technological baby was hungry… but hey, it taught you responsibility, right? Overalls: There were only two ways to wear these, either with both straps buckled in or one hangin’. Today, they bring a retro vibe to your style. Mood rings: If someone showed up with one, you would spend recess trying it on all your friends just to make sure it was accurate. And you’re probably still wondering if it really worked. Badly bleached hair: Our parents warned us about this… but we did not listen. Whether frosted tips or bad highlights, we all ended up regretting following this trend. Discman: From not being able to bounce around because it would cause the CD to skip, to having to find batteries when your parents weren’t looking, no one will understand the struggle of trying to listen to your favourite jam in the 90s. Furbies: If you were the kind of kid to have a Tamagotchi, then you most probably had one of these. Girls Band/Boys Band merch: You were not really a fan if you did not own at least one piece of your favourite bands’ merchandise. Now is the time to start wearing them again! Gel Pens: There were two kinds of people, ones who had a small collection and the ones who had the super deluxe jumbo pack. Scrunchies: These were both for practicality and to be used as a fashion statement, whether it was to tie your hair back or simply to look cool. Every girl had at least one. What do you miss most from the 90s? Are there pieces you are searching for in thrift stores? We want to know! Head over to our Facebook and let us know in the comments! These are the things we took for granted as kids. Things we never knew would help us later on, things that we shouldn’t have forgotten. At what point in our lives did playtime become forbidden? Who established the universal law that once we reached a certain age we had to work until we are running on empty? There are a bunch of studies out there that highlight the value of recess in a child’s academic environment. Such as contributing to children’s physical activity levels, giving them a break from academic work and offering them a chance to improve their social skills. 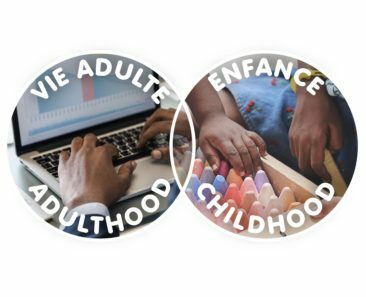 With all its benefits, why did we ever stop having playtime as we entered our adult lives? At some point towards the end of high school, society silently told us to put the child in our hearts away and bucket up for adulthood. Nevertheless, there are 5 things we did during recess that we should incorporate in our adult world because let’s be honest… Adulting isn’t always easy. Actually, take a recess: Between a mile-long to-do list to the pressure of a deadline hovering over you, it’s hard to take a break. Taking a step away from your work is essential in coming back refreshed and productive. For some reason, the older we get, the more we forget about this. After completing some of your morning tasks, take a break! Play: As we have shifted into grown-ups, taking on monthly bills and mortgages, we seem to put, as the French say, the “joie de vivre” on the back burner. We’re not saying run to the closest jungle gym and play on the monkey bars (not that it’s a bad idea), but take 20 minutes a day to just let loose! Socialize: “I don’t have time for more friends.” We get it. For real. However, have you ever considered chatting with co-workers over lunch instead of eating at your desk alone? You don’t have to BFFs with them but sit and chat a little. Think of it as good practice for the next time you go to a networking event. Fuel: When you’re always on the go or busy stressing about your to-do list, it’s so easy to overlook feeding your body. Kids have snack time so why don’t we? Obviously, choose a healthy choice such as fruits or your favourite yogurt. Let your worries go: From your boss pinging you on Slack to your inbox increasing every minute, it is extremely easy to get caught up in your work. Do you think kids worried about math class after recess? Definitely not. So, if you’re taking a break, playing or even just snacking, try to be in the moment. Don’t think about whatever you will be stressing about after… just chill for a second. Worrying never gets you anywhere. Tips and tricks: How to bring back recess at work. It’s no surprise that balance between work and life is essential to making it through #AdultLife… Here are the 5 things we did in the schoolyard that we should do in the office. Recess in the adult world is a quick coffee break or lunch… but that isn’t enough! Here are a few ways to #BringBackRecess at work. The kid in you is going to try suggesting a few of these at your next team meeting or at least submitting them anonymously in your weekly Office Vibes survey, so take note! Make a special handshake: there’s no surprise that ‘teamwork makes the dream work’ so why not have fun when you finally win over a new client? 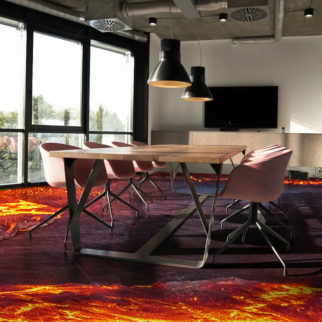 Lava: Office edition: remember playing lava around the school playground? Well, the same rules apply. The last one to touch the ground wins a free drink at the next Happy Hour. Tag with office chairs: pretty self-explanatory. Just make sure all wires are moved out of the way and that you have enough space. Hide and seek: to make this even more interesting, use the whole office building as your playground. Make sure to set some rules; are staircases or bathrooms allowed? That’s all up to you and your team. Rock-paper-scissors: make a boring task such as who has to take out the garbage or clean out the fridge with a mega-tournament to choose the “lucky” winner.